Greg Daniels received an AB in Economics from the University of Georgia in 1985 and a Master of Public Policy from Harvard’s Kennedy School of Government in 1988. 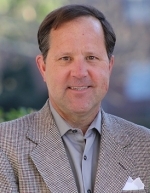 Greg returned to the University of Georgia in 1991 as a development coordinator, working with the Deans of several schools and colleges and managing the University’s President’s Club. Greg has held several positions at UGA including Assistant Director of Major Gifts, Director of Principal Gifts, and currently, Senior Director of Principal and Major Gifts, which includes Directing UGA’s Regional Fundraising Program. Greg worked closely with former UGA President Charles Knapp on fundraising for the Performing and Visual Arts Center (Third Century Campaign) and has managed the top 100 donors (including managing President Michael F. Adams’ fundraising with alumni and friends) during the Archway to Excellence Campaign. Greg has served on the CASE District III Board and was the recipient of the 1997 GEAC Distinguished Fundraising Award.